Katy Tx, is where we began over 25 years ago. We're re the tall guys your friends told you about! 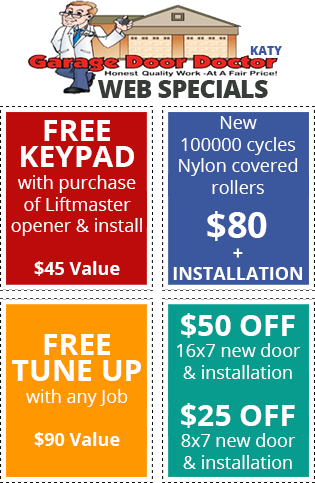 We are your neighborhood garage door company. We service all of Katy including Cinco Ranch, Nottingham Country, Kelliwood, Grand Lakes, Seven Meadows, Falcon Point, Old Katy, Memorial Parkway, Barker's Ridge, Westfield, Nottingham, and everything in between. Fixing a garage door is usually not a "do-it-yourself" project; it can be very dangerous to attempt to repair a garage door or opener. Garage doors are precision instruments and they require highly skilled experts to be fixed safely and correctly. Your Katy Garage Door Doctor has the experience and the high level of skill necessary to properly solve your garage door problems. and your garage doors problems will go away! At Katy Garage Door Doctor we have a large inventory of parts on our trucks so that we will be ready to get the job done when we arrive at your home. Has your garage been giving you problems, making weird noise, or not operating at all? 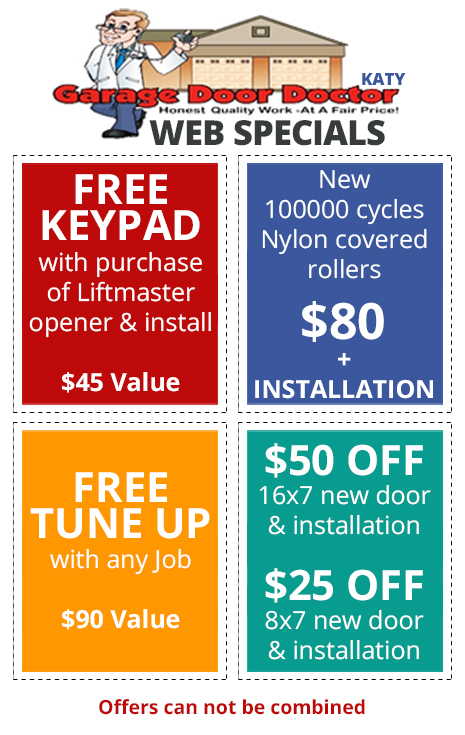 Whatever it is, we will solve your garage door problems. With over 75 years of combined experience, we've seen almost every possible problem and we know the best ways to resolve your problem. We stand behind our work. All of our garage door products come with a one-year warranty. If we service your garage door, we provide a 90 day warranty for labor. The spring on our garage door broke and our car was stuck in the garage. We were able to get an appointment the same day. Ryan was on time. He was very nice and completed the work quickly. I would highly recommend this company. 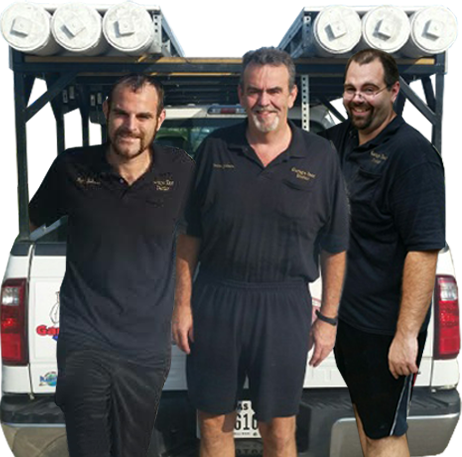 expert technicians at Katy Garage Door Doctor for your garage door repair.